The 2018 Mazda3 is proof that you can get lots of features and a fun-to-drive car without breaking your budget, and the exterior of the Mazda3 reflects its spirited personality with a dynamic, sophisticated design. Tour the Mazda3 exterior with the team at Mazda of Manchester, where you’ll find a number of Mazda3 lease offers near Rockville at our dealership. Part of the SKYACTIV® TECHNOLOGY suite, the SKYACTIV®-BODY provides the Mazda3 with the rigidity required for sporty and responsive performance while also helping to deliver superior efficiency and crash safety scores. 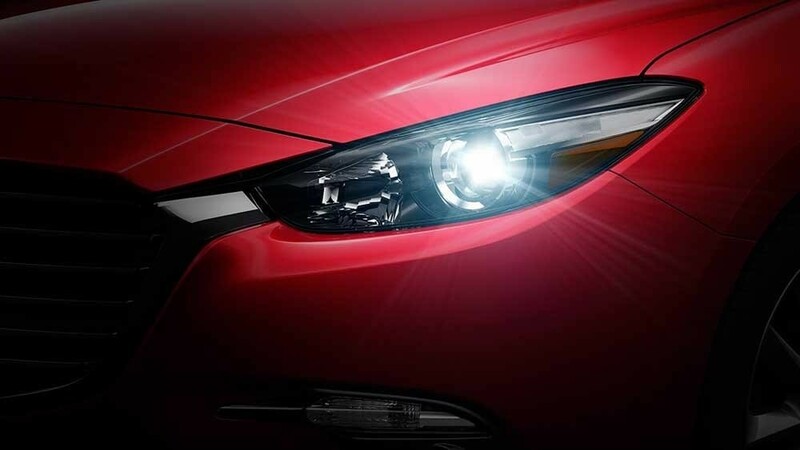 The exterior of the Mazda3 was inspired by Mazda’s exclusive KODO: “Soul of Motion” design philosophy. The idea is for the designers of each Mazda vehicle to be given the liberty to be inspired while remaining true to the heart of the unifying themes across the Mazda lineup, which includes attention to the sophisticated aesthetic and sporty aerodynamics. Tour the Exterior of the Mazda3 Near Bolton Today! The 2018 Mazda3 is available in both sedan and hatchback configurations, and you’ll find it in a variety of trim levels right now near South Windsor at Mazda of Manchester. Our dealership is open seven days a week, and you can contact us online or call us directly at (860) 645-4100 to set up a test drive today! Want to learn more? Compare the Mazda3 to the Mazda6 and the Subaru Impreza with us!